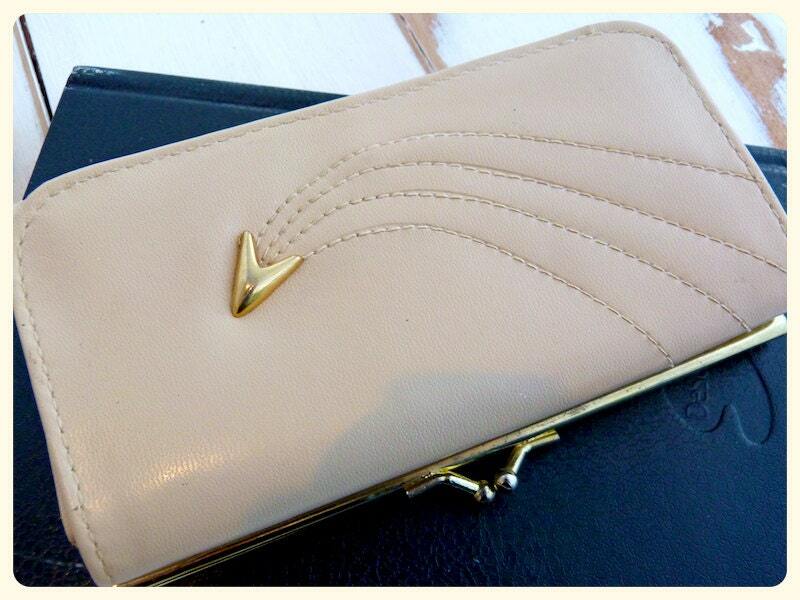 This lovely wallet looks almost new! 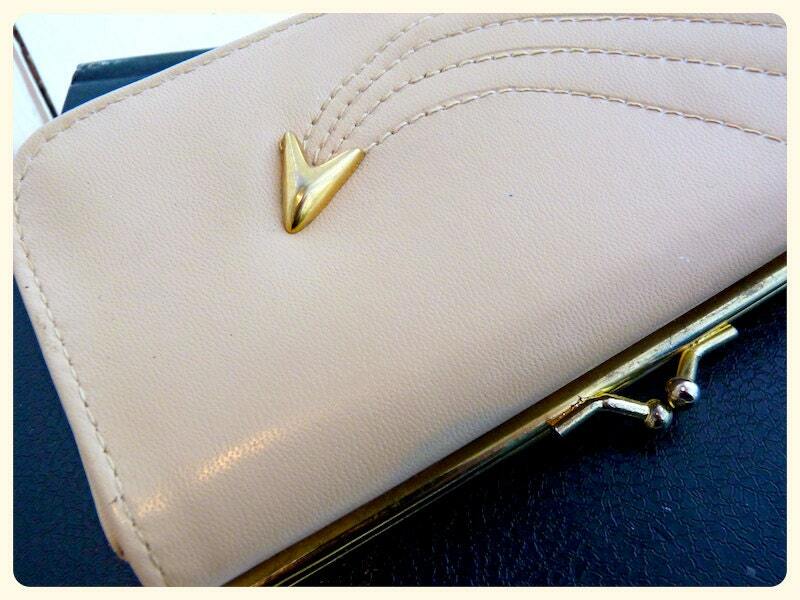 Blush color, adorned with decorative seams and a golden arrow ornament in front. 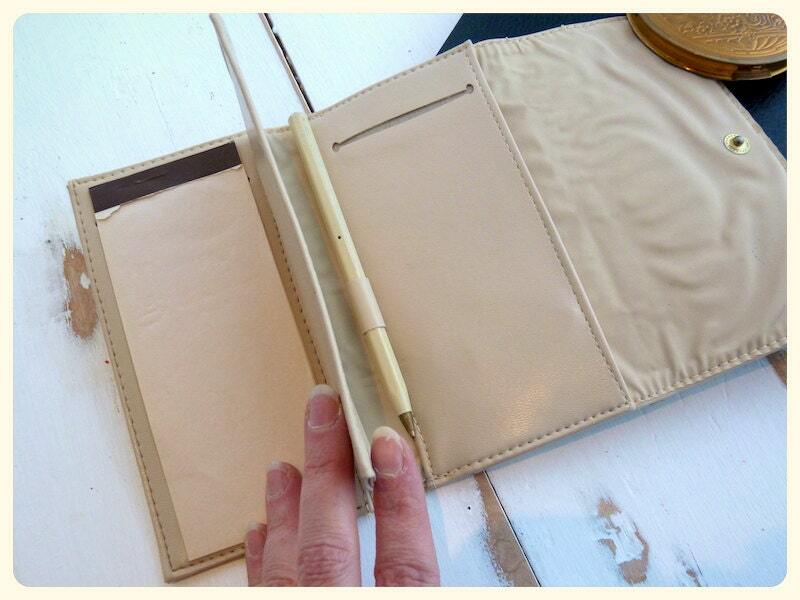 It has lots of handy sections: a hinged money purse at the back, and in the folded in two section, there is a little notebook, 3 pockets, a check holder slot (North American size), and a pencil. 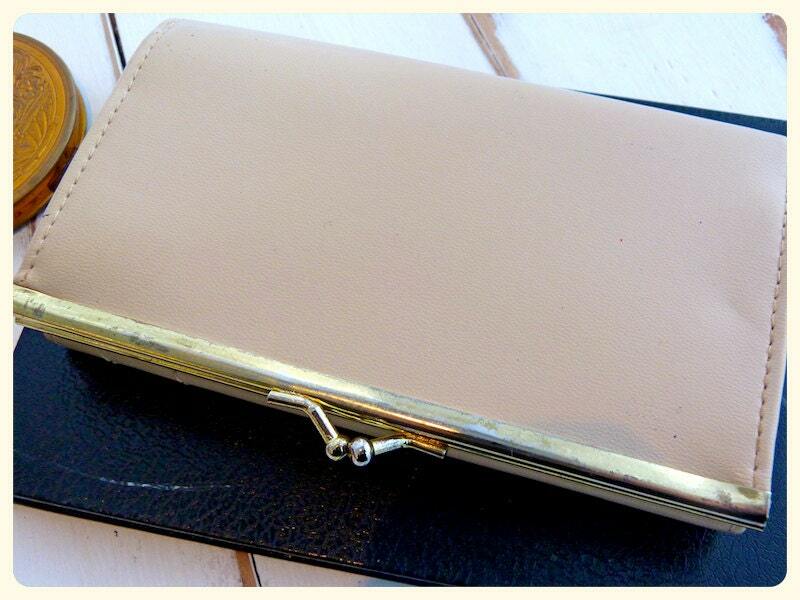 Soft leather style material (no genuine leather stamp). Vinyl lining. 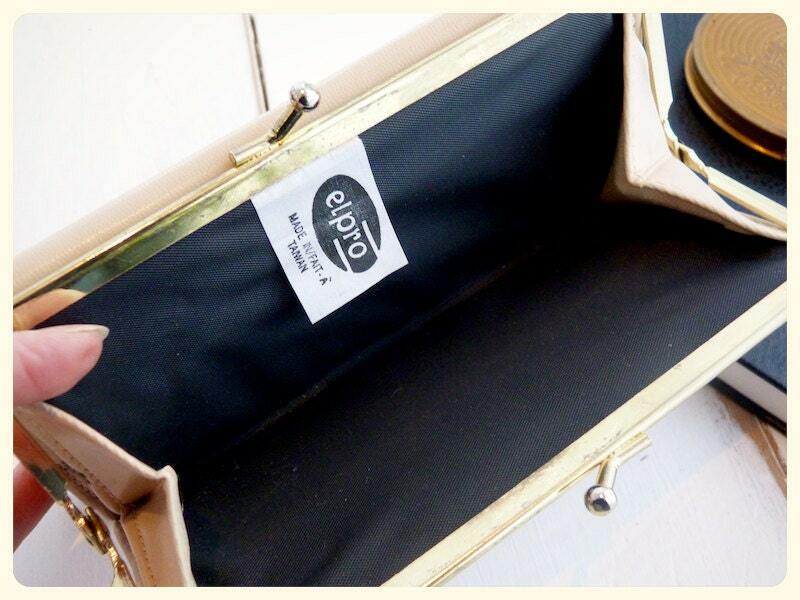 Brass style golden metal frame. Very clean.